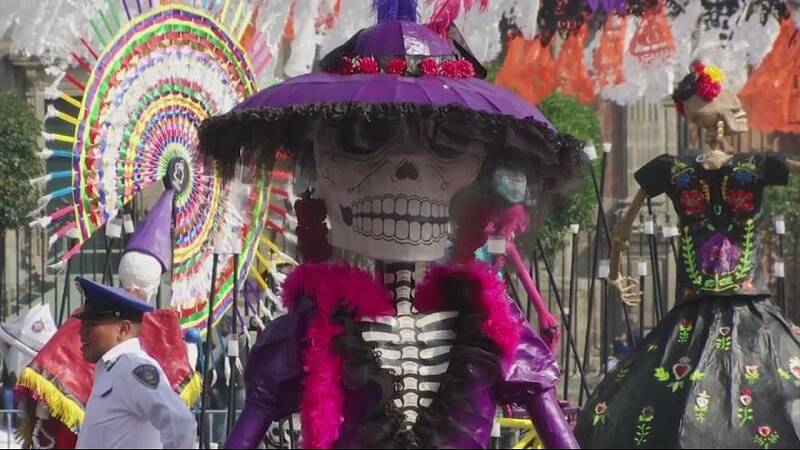 Mexico City marked the Day of the Dead holiday by remembering the 369 people killed in 19th September earthquake. People set up altars with images of the dead and left out plates of food as an offering. They gather at the graveside of their loved ones to drink, sing and talk to them as a way to bring them back to life. On the city’s central El Zocal square, authorities have set up what they’ve called a monumental offering. The helmets of rescue workers are on display as a tribute to the solidarity shown by Mexicans in the aftermath of the quake.